Millions of lives continue to be devastated and every continent marred by armed violence. Now the world has a chance to change this. 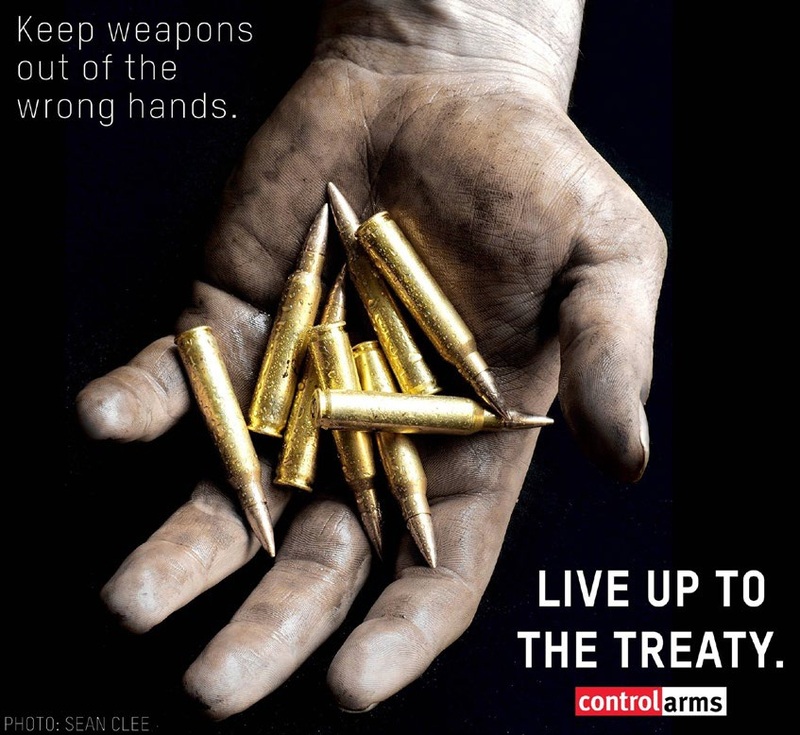 In ten days States will come together for the first annual meeting of the Arms Trade Treaty (ATT), where they must make important decisions about how it will be implemented. The ATT entered into force in December 2014, and for the first time, creates globally binding regulation of the international trade in conventional weapons. Negotiators at this first Conference of States Parties in Cancun 24 -27 August must make decisions that hold countries to the highest standards, and ensure that the ATT is implemented robustly. Ensure there is an effective majority-based decision making process established for all procedural and substantive issues, and with no deferral mechanisms. This includes for financial decisions, and changes to the rules of procedure themselves. There should be no power of veto. Guarantee that international coalitions of NGOs who have been working to support ATT implementation are able to fully participate in the Conferences as Observers in all sessions. Maintain transparency with open, not closed, plenary and subsidiary meetings. There should be no hierarchy of speaking rights, to enable interactive debate. Agree on a financial mechanism that is fair and sustainable, and will allow for effective implementation by everyone, especially less resourced States Parties. Establish an independent ATT Secretariat, adequately resourced and empowered to enable support for ATT implementation, and with staff appointments based on merit. Recognize civil society as a key stakeholder group to work with. Ensure comprehensive, transparent public reporting. Ensure that the reporting template enables States to demonstrate that they are implementing the Treaty and highlight areas where assistance is required. Establish reporting templates as soon as possible to assist States Parties in completing their first reports. Apply the ATT consistently and robustly to prevent human suffering caused by irresponsible arms transfers. Ensure time at CSPs for substantive discussions on how the Treaty is to be applied and implemented at the highest level. Maintain the momentum that has carried through since the ATT was adopted, and ensure effective Treaty implementation is a political priority. The discussion on Rules of Procedure (RoP) for the Conference of States Parties is the most pressing issue being discussed. The RoP will be adopted at the first CSP by consensus (as mandated by the Treaty) and will then be used for all future meetings of States Parties. Control Arms has commented extensively on many aspects of the draft rules as they have evolved over the last several months, with specific focus on advocating for openness of meetings, majority-based decision, speaking rights and access to all sessions for NGOs that support the object and purpose of the ATT, and ensuring distinctions between signatories and States Parties as an incentive to ratify.